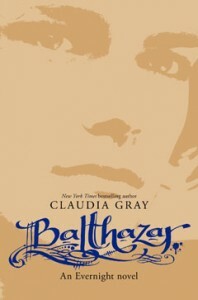 The Evernight series, four books from HarperCollins beginning in May 2008, follows the story of Bianca Olivier. 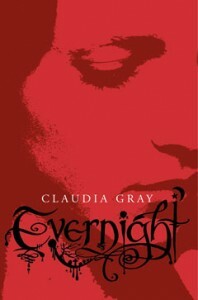 When the story begins in Evernight, Bianca has just left the small town where she’s spent her whole life. She’s a new student at Evernight Academy, a creepily Gothic boarding school where her classmates are somehow too perfect: smart, sleek and almost predatory. Bianca knows she doesn’t fit in. Then she meets Lucas, another loner, who seems fiercely determined not to be the “Evernight type.” There’s a connection between Bianca and Lucas that can’t be denied. She would risk anything to be with him—but dark secrets are fated to tear them apart… and to make Bianca question everything she’s ever believed to be true. Get a sneak peek at the Evernight prologue! 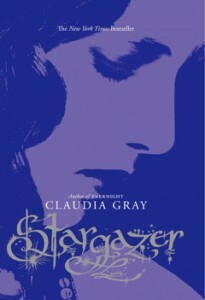 Stargazer (March 2009) returns to Bianca’s story a few months later. Both she and Lucas will stop at nothing to see each other again—even if it means living a life of secrets and lies. But even as Bianca finds herself torn between two worlds, she soon discovers they aren’t the only ones keeping secrets. Will powerful forces within Evernight Academy keep her from deciding her own fate, or claim her forever? Get a sneak peek at the Stargazer prologue and chapter 1! After escaping from Evernight Academy, the vampire boarding school where they met, Bianca and Lucas seek refuge with Black Cross, an elite group of vampire hunters. Bianca must hide her supernatural heritage or risk certain death at their hands. 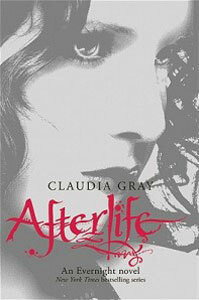 But when Black Cross captures her friend—the vampire Balthazar—all her secrets threaten to come out. Bianca has always believed their love could survive anything—but can it survive what’s to come? 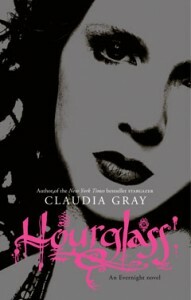 Get a sneak peek at the Hourglass prologue and chapter one! Bianca and Lucas have always believed they could endure anything to be together. When a twist of fate not only transforms Bianca into a ghostly wraith, but also turns Lucas into a vampire—the very creature he spent his life hunting—they are left reeling. Haunted by his powerful need to kill, Lucas can turn to only one place for help… Evernight Academy. Bianca is determined to remain with him. But with the vampire leader of Evernight waging a war against wraiths, her former home has become the most dangerous place she could be, despite the new powers her transformation has given her.